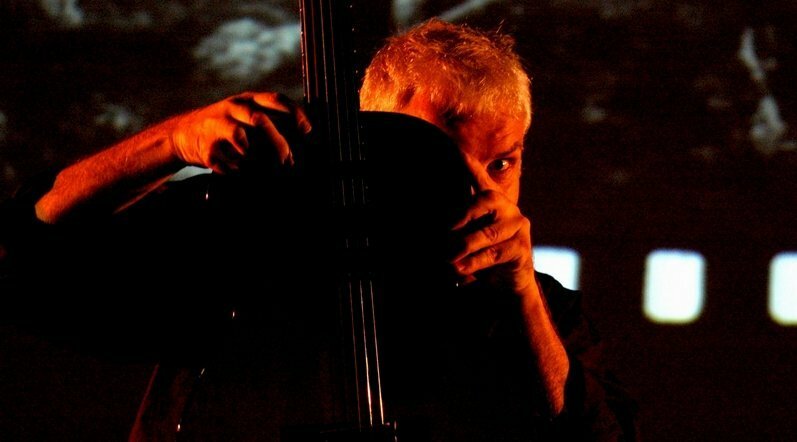 Audiences from North America to Japan and from Russia to South Africa have warmed to David's unique approach to making music. Using real time looping, he creates a truly cinematic soundscape. 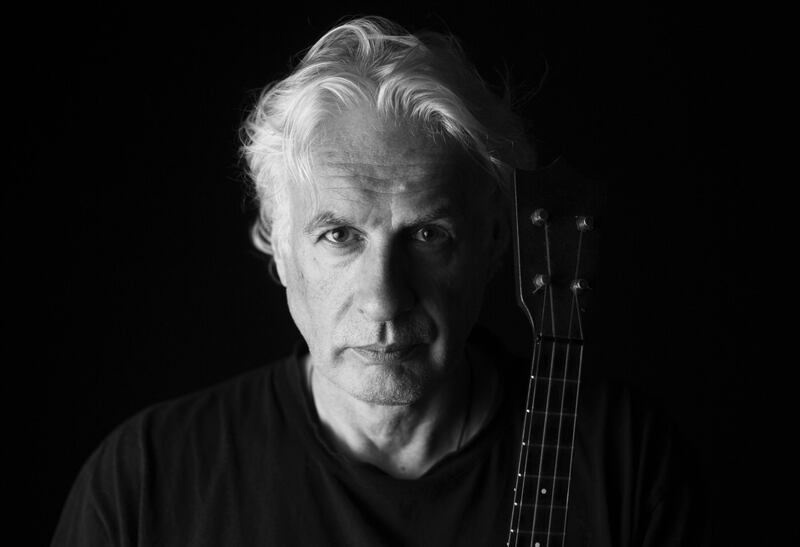 Nearer home he has performed at festivals such as Glasgow's Celtic Connections, the Edinburgh Fringe, and the International Guitar Festival of Great Britain, as well as appearances on radio and television. Here's David playing bagpipes on acoustic guitar. And here's a wee blues. 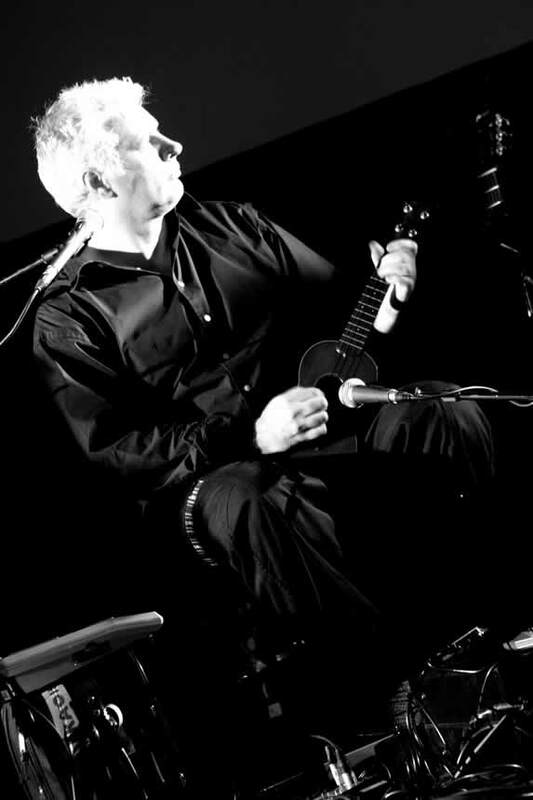 He was featured in a Scottish Television documentary about the acoustic guitar alongside Martin Taylor and Gordon Giltrap. 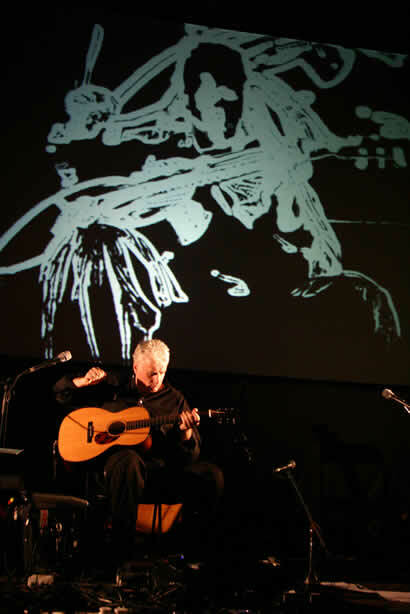 His groundbreaking album "Acoustic Movies" featured a CD ROM section,including a seven minute in-concert video and other multimedia material. The acoustic guitar is David's basic instrument, but he's also very much Into looping technology and experimenting with wonderful instruments like the concert zither (see the video below), turkish saz and the arabic oud. David is also mad about ukuleles, as you can read in this BBC report. 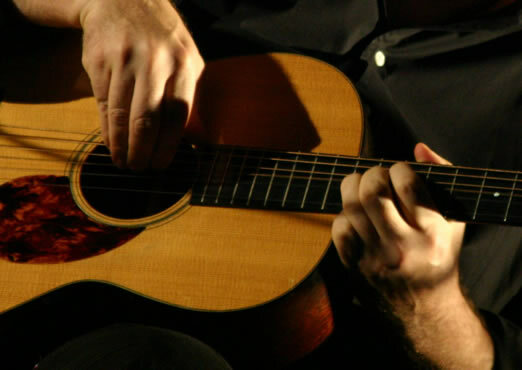 Alongside his own career, David produced a live album for the Seville based flamenco group Jaleo and has been used for session work in Los Angeles. He wrote and recorded "Communique", the title music for the Scottish Television series "Arts and Parts". He has also written for cinema commercials and tv documentaries. Other career highlights include a concert series in Russia, and two major tours of the US in conjunction with the network National Public Radio programme "The Thistle and Shamrock". Another career highlight was recofding a session at the BBC's Maida Vale studios for Britain's biggest radio station... Radio 1 FM..
David has released three solo studio albums. 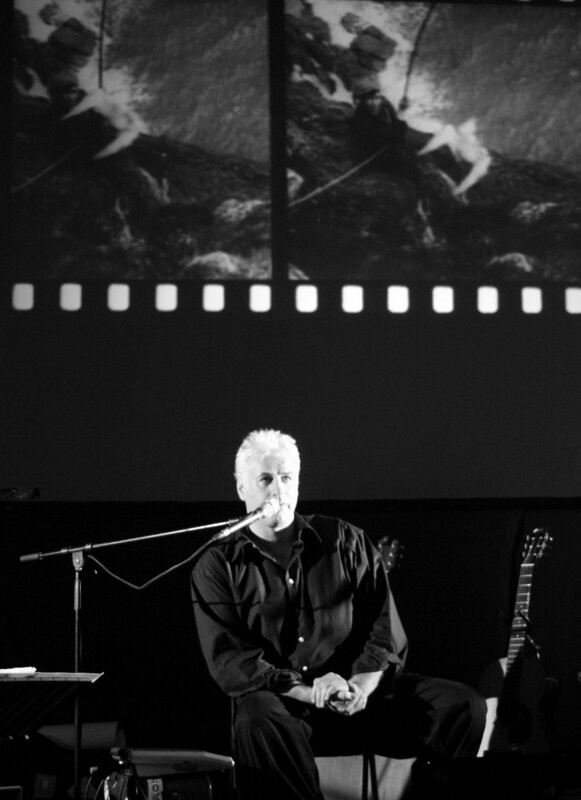 "Acoustic Movies" features live video as well as a cd. "This man can write for the guitar. The opening track, Christmas Eve 1950, is a haunting air that wrings great feeling out of the guitar strings. This CD is full of good tunes, fine playing, and inventiveness." "As a piece of guitar music, this is one of those rare recordings where the level of the composition is equaled by the talent of the guitar playing." Jim Lee, Dirty Linen (USA). "Using a looping technique he constructs rooms of sound that are nearer New Age than Scots traditonal, more ambient than jazz, but original, engaging, emotionally eloquent, and very, very well played." David Allison sits like some Hebridean captain at the bridge of his multi-media creation pressing pedals in his stocking feet, mixing and layering pre-recorded flute and fiddle, even playing brushes on the back of his guitar, while evocative island images flicker behind him and the others. "His playing is lovely, his expertise breathtaking. But it is his idea of sound which breaks you. I don't know any other way to explain what he does than this: he is painting with sound." David uses a number of different tunings. With all these variations use a capo to play in different keys. 1. As well as standard EADGBE, he uses DADGAD extensively. It's great for celtic material because of its modal nature... It's neither major nor minor. 2. A close variation on this, achieved by taking the G sting down a half tone, is DADF#AD which gives a great major sounding chord to work from. This tuning is also very good for slide work... Listen to Ry Cooder. 3. If you flatten the F# one further half tone you get DADFAD which surprise, surprise gives you a great atmospheric minor chord to work from. David uses this in "The Spirit of Italy Street" on his album "Acoustic Movies". 4. If you want to get really adventurous try this next one which gives a sitar/saz/bouzouki type effect. Flatten the F down to the same as the D string, and take the top D string down to A. This tuning... DADDAA... is weird but very effective in the right place. 5. C tunings are also very useful. From EADGBE you go to CGCGCE for a really stong major chord. David uses this on a number of tracks such as "Christmas Eve 1950" and "Summer Rain"
6. C minor CGCGCD# is achieved simply by flattening the E to D#. This is a strong moody minor chord, used by David in "Spiral" among other tracks. David uses the Roland RC50 Loopstation. David is happy to endorse Newtone Strings and Schertler Pickups.